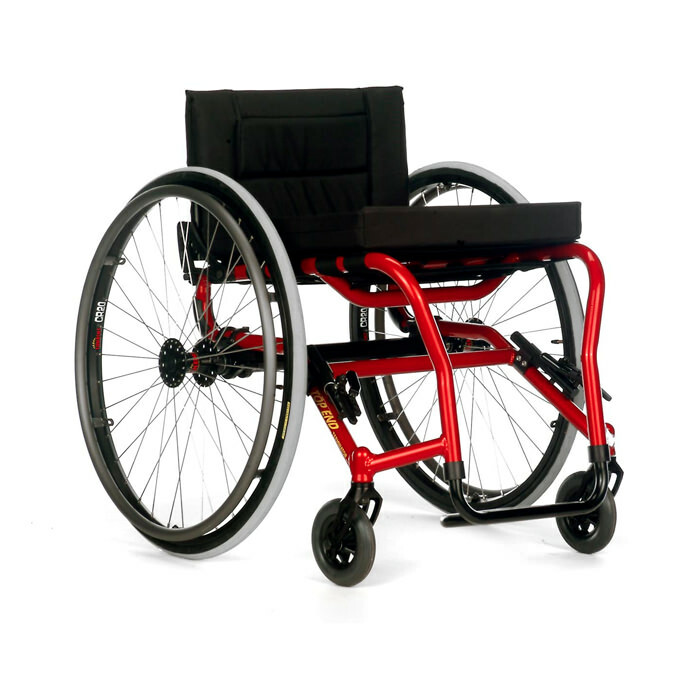 Top End Terminator Everyday wheelchair is built of 6061 T6 aluminum to withstand daily use, and with a variety of custom options makes its more reliable and affordable. Terminator Everyday wheelchair offers multiple choice of seat heights, wheels, arm styles and footrests. Terminator wheelchair comes standard with a 250 lbs. weight capacity and offers a heavy duty option that will hold up to 350 lbs. An ergonomic seat option builds a "sweet spot" that's especially effective for those who sit in a squeeze of 2" or more. Top End Terminator Everyday full frame custom rigid wheelchair makes the most of every push which allows you to go farther and do more with less energy. There are fewer adjustments which translate to more performance and durability and less weight, less maintenance and less hassle. 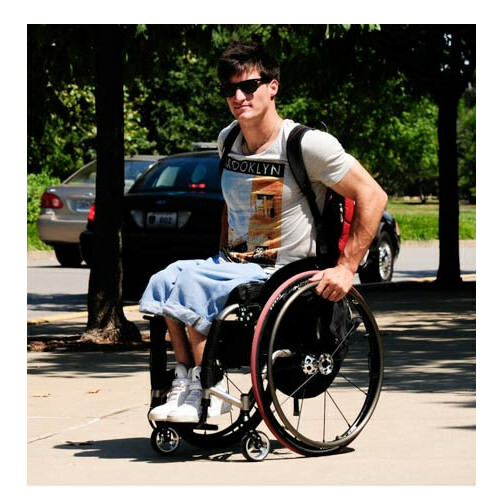 Terminator wheelchair combines great design with the strongest and lightest materials to give you a super chair that fits perfectly and delivers everyday performance. Terminator wheelchair is a great low cost alternative to titanium without sacrificing any performance. Built of aluminum, the Terminator Everyday Wheelchair delivers the same great performance and durability as titanium, and the difference in overall weight is minimal. User can upgrade to Spinergy LX wheels, Schwalbe flat resistant tires and/or softroll front casters and have it all. Seat width 12" - 18"
Seat depth 14" - 18"
Casters 3", 4", 5", 6"